or contact us via telephone: 01353 649271, where Mrs Taylor or Mrs Cullum, our office staff, will be happy to help. We are always pleased to hear feedback on the service we offer. You are also encouraged to give Ofsted your views. 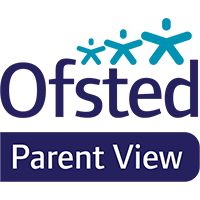 Please click on the icon below to link to ‘Parent View’.